Little more than a week after the collapse of WOW Air, the airline’s CEO is seeking to effectively relaunch the airline. Skúli Mogensen is seeking investment for a new airline to operate on the same principle of WOW Air. In fact, many of the key people in the new proposition previously served with WOW. 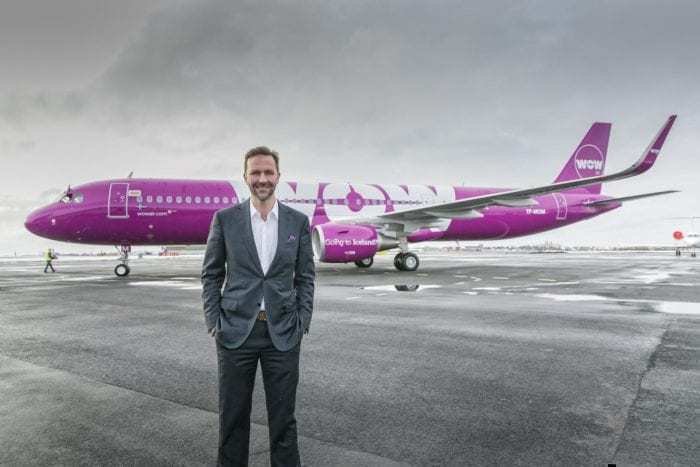 Skúli Mogensen is looking to relaunch WOW Air as a new airline. Last Thursday WOW Air declared bankruptcy, suspending all future flights. As such, thousands of passengers were left stranded across the globe. WOW’s competitors were forced to offer rescue fares to repatriate them. WOW’s CEO is currently trying to find investors for a new airline. The new airline would effectively be WOW Air relaunched. In fact, the airline would buy WOW’s remaining assets. The airline would initially be launched with five aircraft, comprised of four A321neos and one A320neo. The new airline is seeking an investment of $40 million USD. Investors in the airline would be granted 49%, while Skúli would retain 51%. 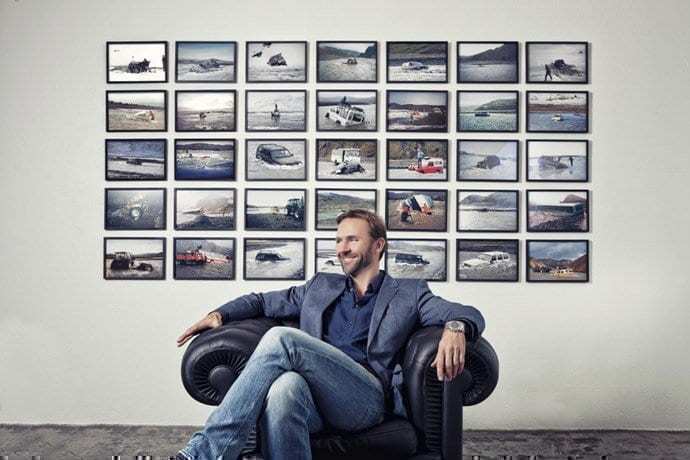 In addition to Mr Mogensen retaining his CEO position, he would be joined by a number of high profile staff who were also involved in WOW Air. In an investor presentation obtained by Icelandic newspaper Fréttabladid, it is stated that the airline’s management has learnt its lesson. This includes learning from mistakes and sticking to a fully low-cost model. The investor presentation states that the airline would initially operate wet-lease services for a large European carrier. This could possibly be to cover one airline’s Boeing 737 MAX fleet being grounded, perhaps even Norwegian. By the end of June this year, this new airline would be operating to 13 destinations across Europe and North America from Keflavik. Ten destinations would be in Europe, with three in North America. Then by Spring of 2020, the airline’s fleet will comprise seven aircraft. A year later in 2021, the carrier will operate ten aircraft. Given the track record of WOW Air, it is unknown whether the new airline will find investors. The business case has been made, stating that management has learnt from mistakes in WOW Air. However, will this be enough to convince investors? Investors not only need to trust the business plan, but they also need to trust Skúli Mogensen, who was unable to keep WOW Air in business. In fact, it is reported that at the time of its collapse, WOW had failed to pay $300 million. This included payments due to Air Lease Corporation. Do you think Skúli Mogensen will be able to secure investment for this new venture? Let us know in the comments down below. If you really are in the market for a WOW-2.0 experience, you better invest some € hundred thousands in a Bentley, Rolls Royce or yacht of similar stature. An expenditure with for sure great ROI, although it’s pay out is guaranteed only in comfort and ultimate fun. Low cost air transport was the fastest growing segment in aviation industry, but it’s the most price sensitive one as well. Ref. last year’s 20 airline bankruptcies. Therefore the slightest wrinkle in worlds economy effects this segment at first, as only < 20% of all air transport is a business necessity, where business- and first-class are more or less main carriers’ sturdy money makers. If you really want to relaunch Wow 2.0, have about you payback all the people who were stranded all over the world because you shut down your airline. My wife and I were stuck in Paris, France and had to buy flights to get us home at the cost of $2000 USD, plus we lost two days of work because of your shutdown. We also lost the money from the return flight. We did have travel insurance, through Wow but how can you get money from Wow when they are broke. We are trying to get some money back with our credit card companies. I was supposed to get 600 euros due to delayed and missed flights, have been fighting for it for almost a year. They told me up to four times the money would be in my bank account in a week, or a couple of weeks. Never happened. This is not how you treat your customers. If the same people remain at the same positions, it will be as bad as it was before. Before relaunching I am expecting complete reimbursement from all expenses because my partner and I were stranded for an extra 4 days in Iceland not able to fly out anywhere.. extra car rental.. food..missed work.. phone bills..an additional plane ticket..places to stay.. I am glad you are bankrupt. My son and his girlfriend traveled sadly from Toronto Reykjavik on your airline. His girlfriend is a TYPE1 diabetic and on there return from Reykjavik they learned you cared these. She had medical documents for the supplies she needed to keep her blood sugar balanced. Despite that my son had to fight with staff and a supervisor to prevent them from discarding some items to make her buy them past security. C’est ce foutre de nous, remboursé nous avant de creer une nouvelle arnaque. Wow air nous doit 600 euros, et le pdg a appris de ces erreurs? He must sit in a prison for at least 10 years before he can start thinking about anything else and forget what investments are !! !